LEGAZPI CITY (November 9) - The Provincial Disaster Risk Reduction and Management Council though its chairman Gov. Al Francis Bichara ordered early dismissal of classes in all levels of both public and private schools in the province of Albay, Thursday. 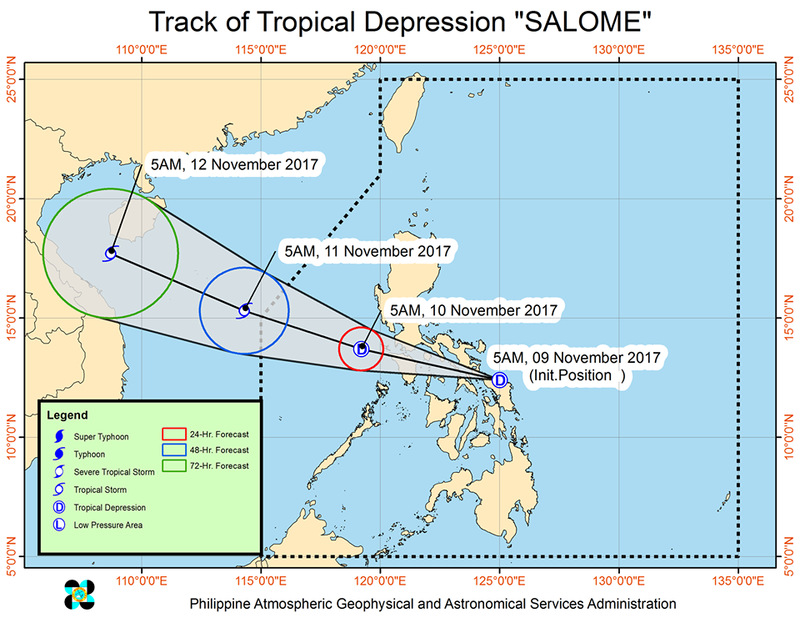 This was announced by Albay Public Safety and Emergency Management Office Chief Dr. Cedric Daep over DZGB News after PAGASA elevated the Low Pressure Area into a Tropical Depression Category and named the weather disturbance as Salome. Daep said that the directive of Gov. Bichara is a pre-emptive action to keep the students safe in any danger of flash floods that could be brought by heavy rains. Daep said that the public should avoid major river channels and be alert for flashfloods and landslides that can happen due to TD Salome. 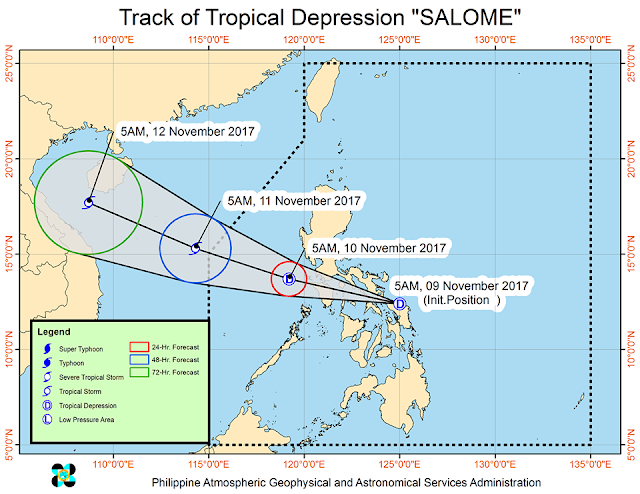 Ariel Zamudio of PAGASA Regional Forecasting Center said that as of 8:00 AM Thursday, THE LOW PRESSURE AREA EAST OF CATARMAN, NORTHERN SAMAR HAS DEVELOPED INTO A TROPICAL DEPRESSION AND WAS NAMED #SalomePh. Location of eye/center: At 7:00 AM today, the center of Tropical Depression #SalomePh was estimated based on all available data In the vicinity of Mondragon, Northern Samar (12.5 °N, 124.7 °E). Strength: Maximum sustained winds of 45 kph near the center and gustiness of up to 80 kph. Forecast Movement: Forecast to move West Northwest at 25 kph.